As E-commerce and M-commerce prosper in today’s time, the internet security threat regarding online payments is increasing significantly. 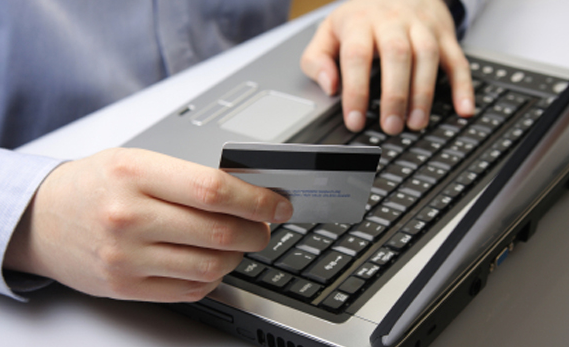 Transactions over the internet are prime attractions for hackers and malware spreaders. Getting credit card numbers and bank details online have caused many users to experience problems that wouldn’t have been there if online payment wasn’t targeted as a prime mode of hacking and entertainment. According to a Secure Test, their test regarding website security and internet purchasing showed that more than 100 websites in the UK had security flaws. They didn’t handle customer details seemingly well and their databases weren’t secured with high encryption. Currently the idea of ethical hacking has increasing, this is when hackers look into holes available in websites and enter them. Nike’s website had a security hole like this which caused a hacker to purchase goods that valued more than $60,000. These portals and errors in websites cause problems when it comes to internet shopping and takes a toll on the freedom of people who like to shop on the internet using their mobiles on PC’s but are worried due to the high risks that have placated the internet. One security concern is spam and that’s increasing on a pretty significant rate. Almost all websites asks for users email addresses and keep them as their usernames. This information is extremely valuable to malware and spam designers, they need only hack into the company’s database or even website and get access to hundreds and thousands of email addresses. They don’t need to worry about anything else; users all over the internet are worried over spam. Recently Dropbox user’s personal information was hacked by Russian hackers and each user experienced hundreds of spam emails every day. If you buy on the internet then you should know the perils. Although it’s a necessity and more convenient considering safety concerns are less and your credit card is your asset, there are still millions of hackers trying to access your information to use your credit card for their personal shopping spree. Many websites have the “forgot your password?” option and these are linked to emails and direct customer information. The forgot password option is a serious threat to user security and safety considering many websites have different methods to help in restoring your password. Firstly most websites ask for personal data, your email address or your mobile number or another email address for verification and users should know that giving out data on unprotected networks is quite harmful. According to IRM’s security consultant and penetration tester, if you’ve forgotten your password or can’t access it then don’t trust any website that sends back your password. These are links that could hack into your account and access your private information. In many cases websites send third party links to email addresses that would help in restoring your e-commerce account. That isn’t a good strategy as well as many hackers use this option to access your account and get your online payment details without your knowledge. They need you to open a link that would work like a signature on a document, with your sign and permission they’ll have complete freedom to access anything they want, from your bank details to your credit card number and your address as well. The use of credit cards is convenient but also dangerous. Many websites don’t encrypt customer’s passwords or card numbers and they cause trouble as in case a hacker hacks into the information he won’t even have to decrypt the data to access it, anything and everything that he wants would be easily accessible and visible to him. Author Bio: Beth Janick has the Android OS at the tip of her fingers. Her work as an Android tech expert at android-spy-apps.com has brought her a flock of dedicated readhers. Whether it’s the latest tweaks or the most important updates on best monitoring app for android, Beth knows it all and spells it all out in her articles..